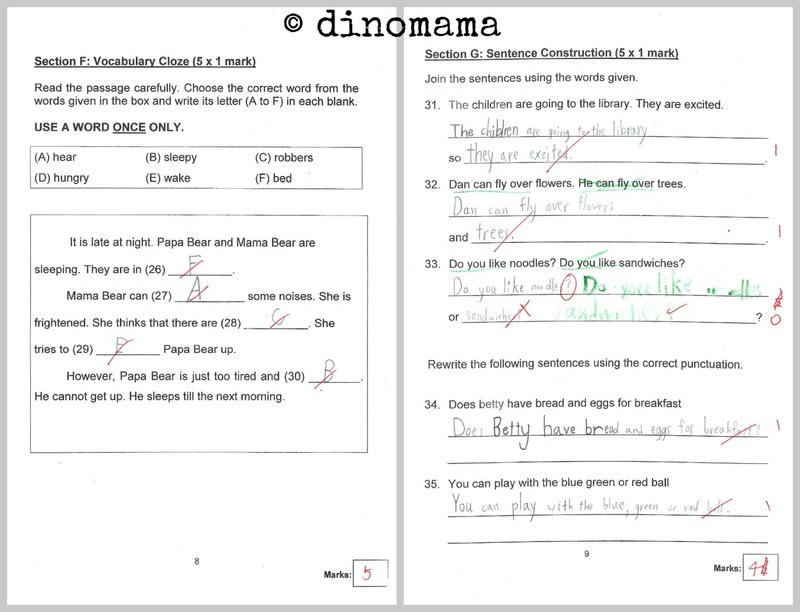 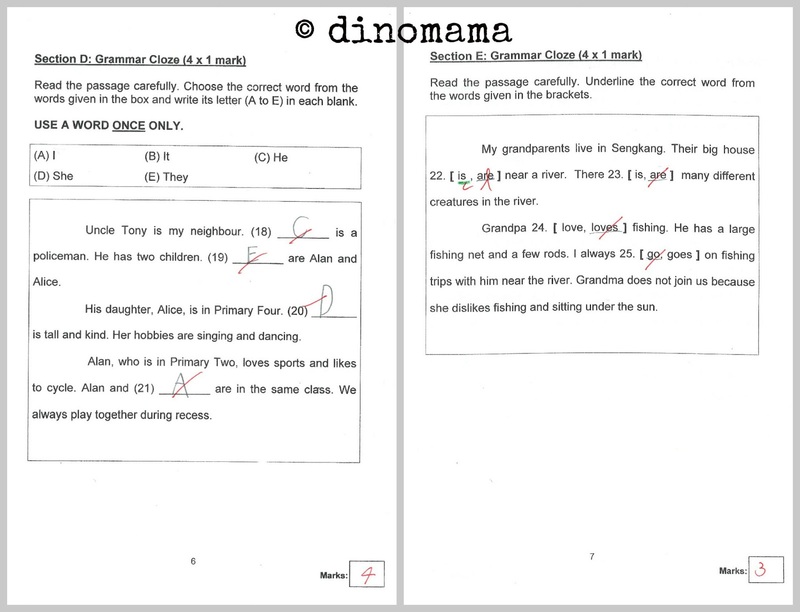 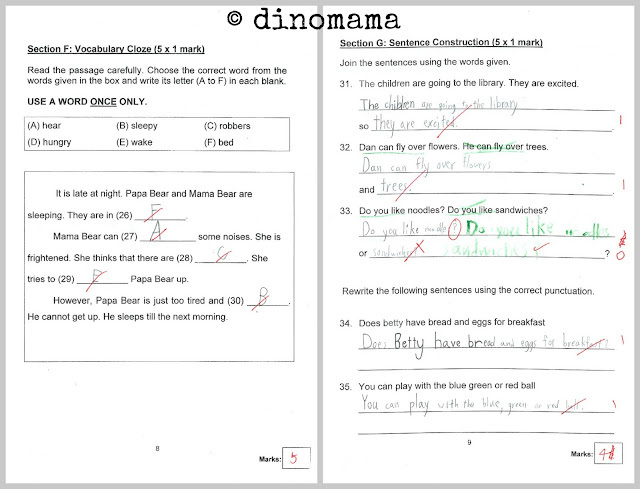 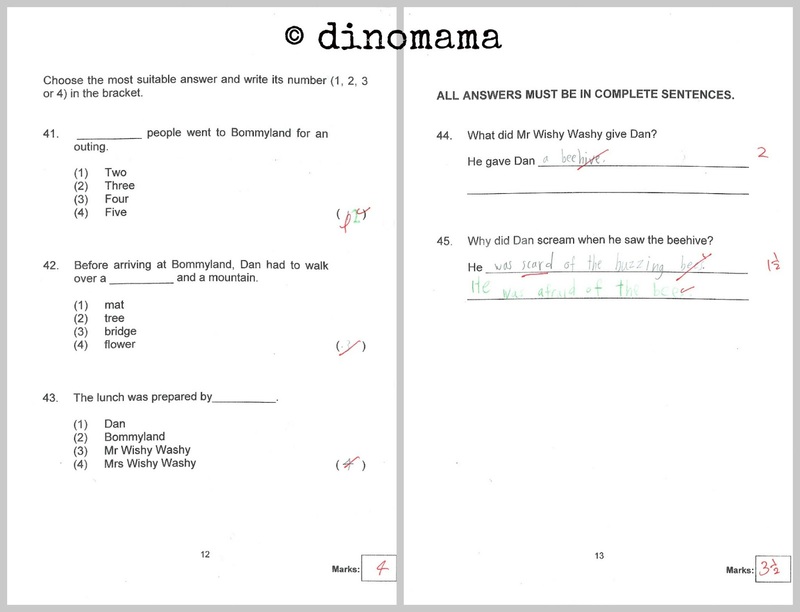 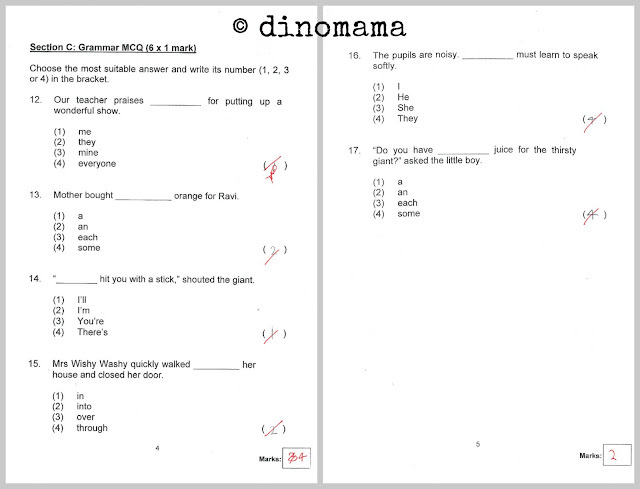 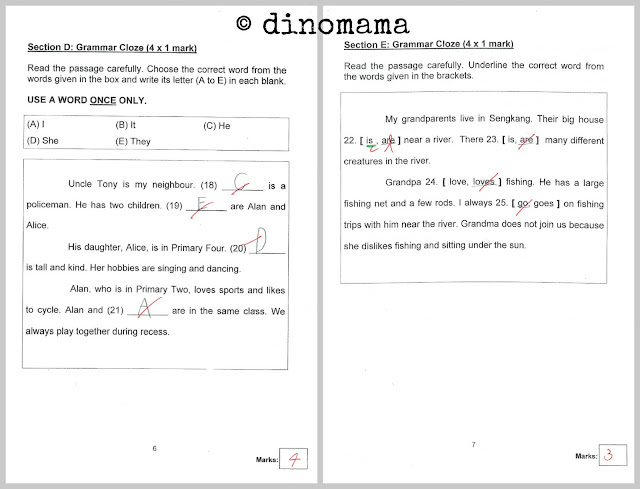 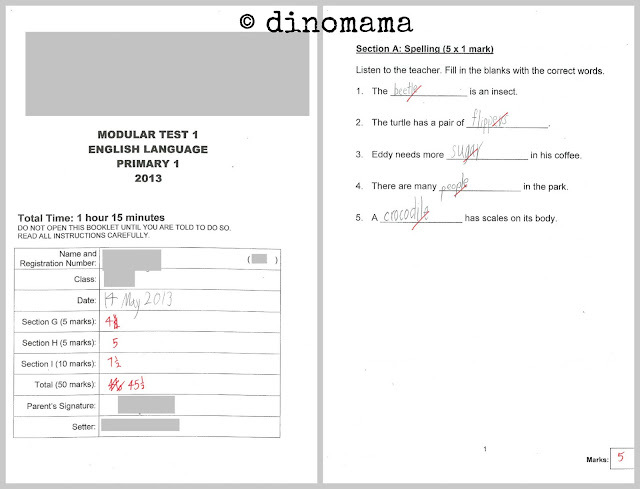 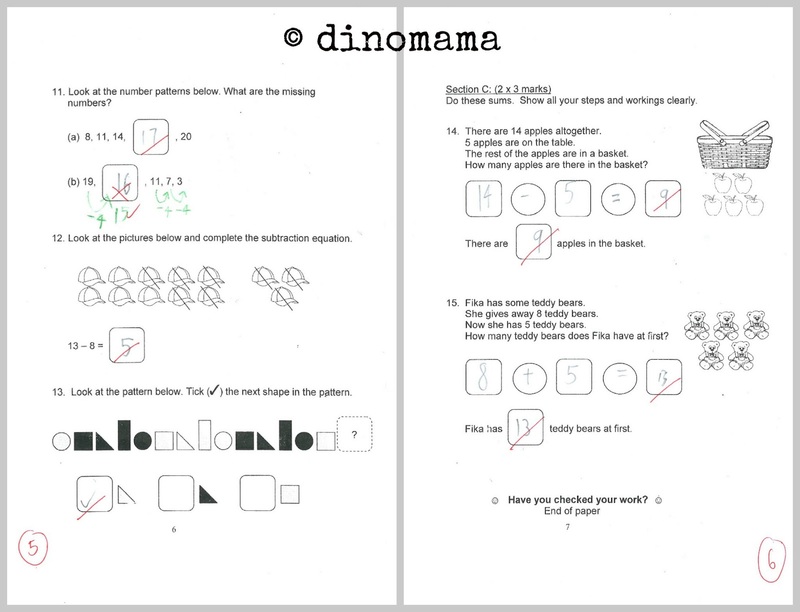 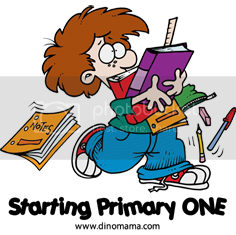 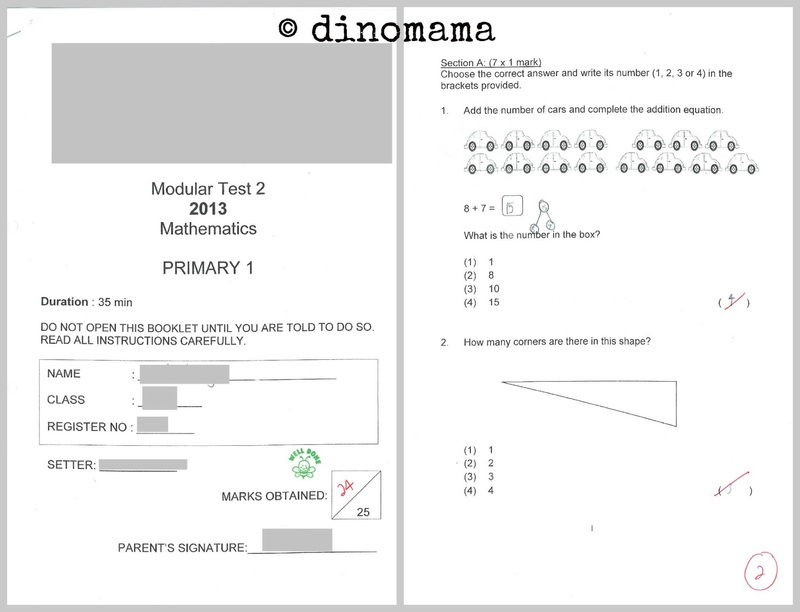 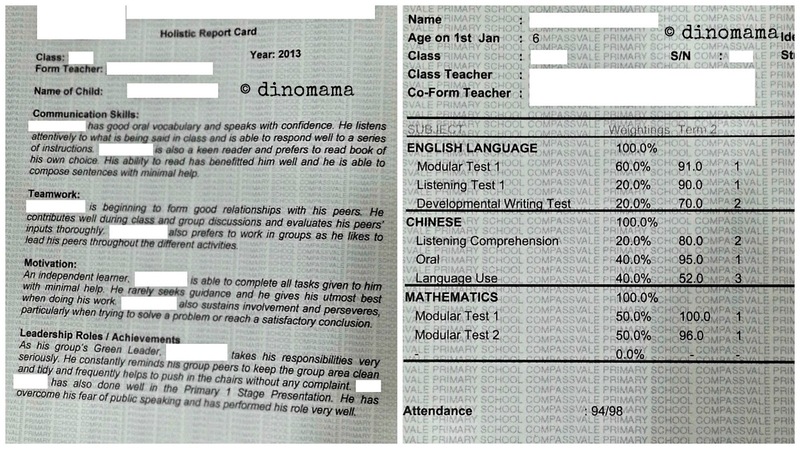 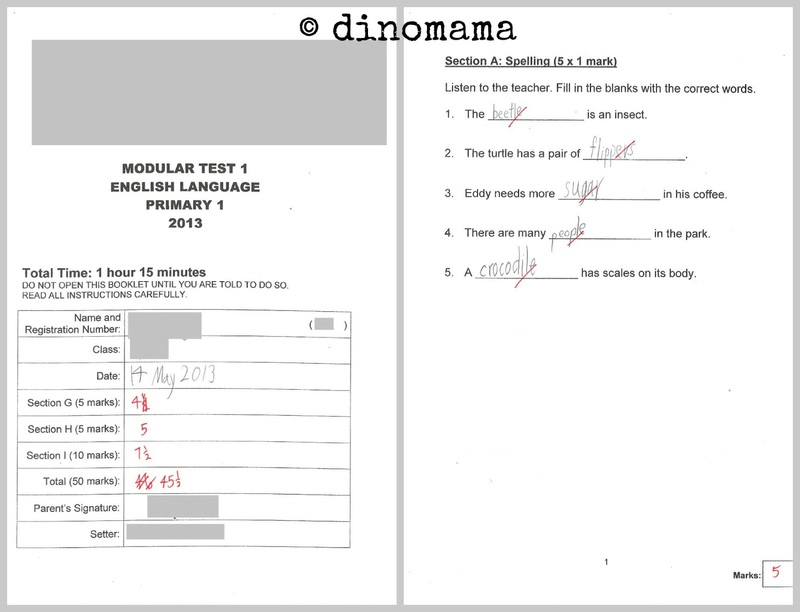 Though Primary 1 does not have exams they have modular test which is the so called exam, so on the week 13 May 2013 DinoBoy sat for his "exam". This time, this blur mama know about it and did a minimal revision on Chinese with him. 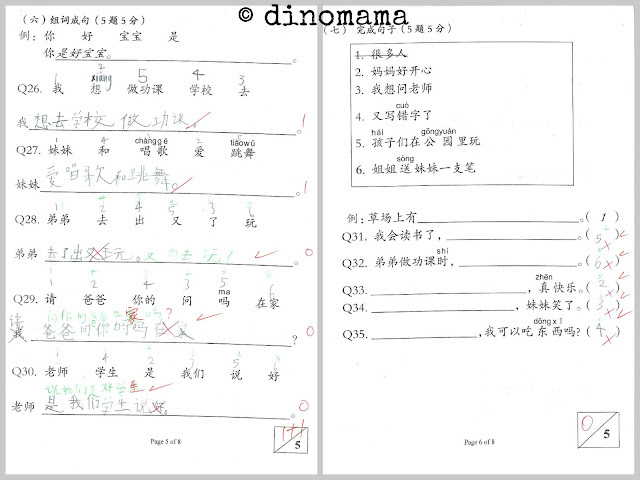 It turned out bad... DinoBoy does not know how to read many of the Chinese words in the assessment book. Faced with the truth and getting prepared for the worst, Chinese revision ended an hour later and we heads off to bed, leaving the outcome of the next day's Chinese test to Faith and Fate. 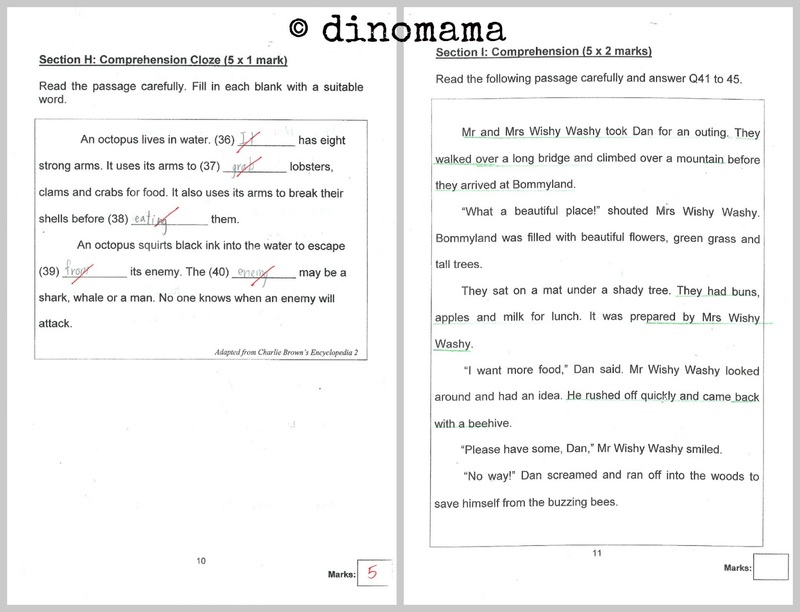 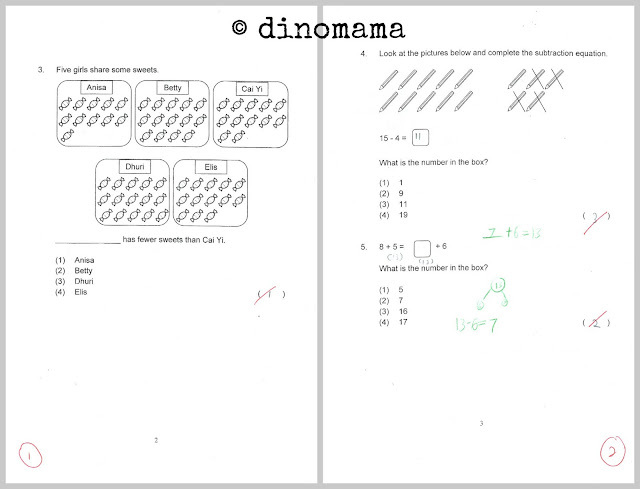 A week's later, DinoBoy brings back the test paper. 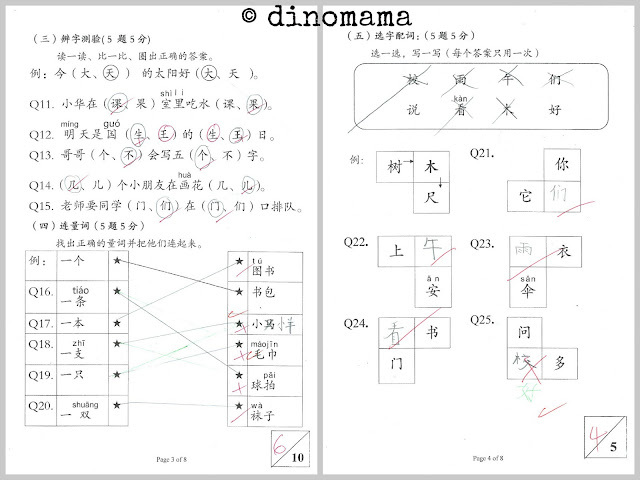 He fares well in all but, yupe you guessed it, Chinese. 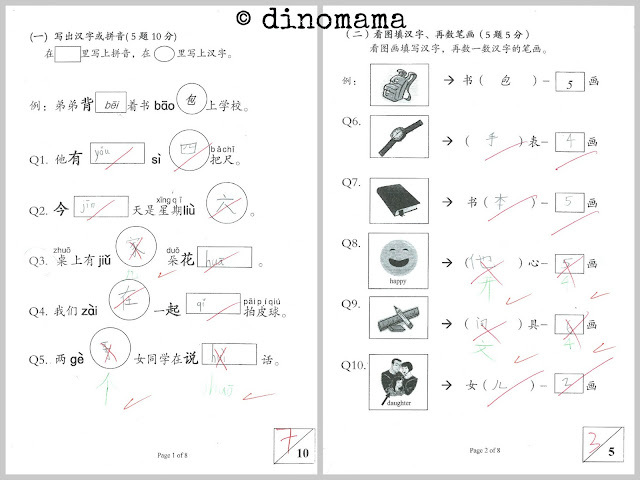 Well, I'm not going to go into details on my plan to brush up his Chinese, that's for another day. 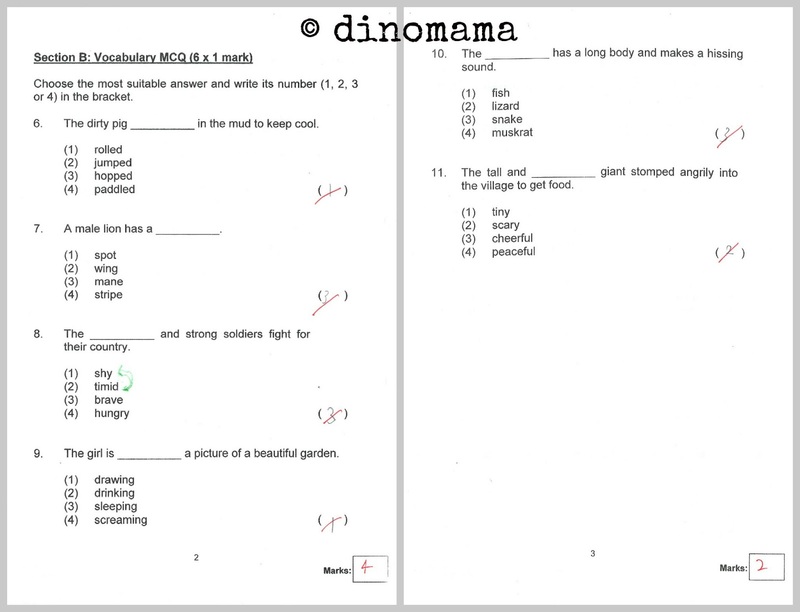 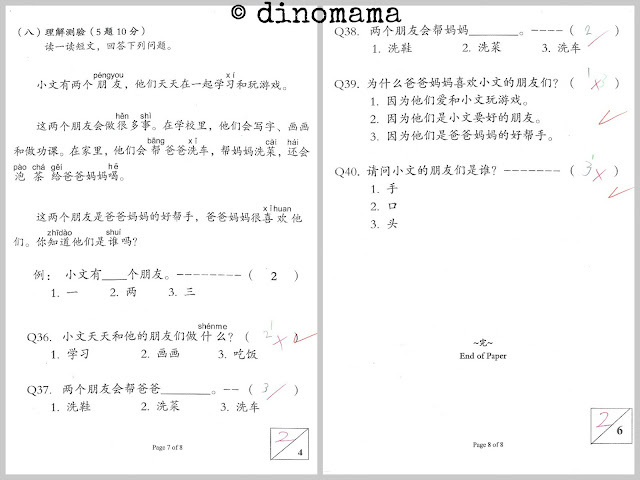 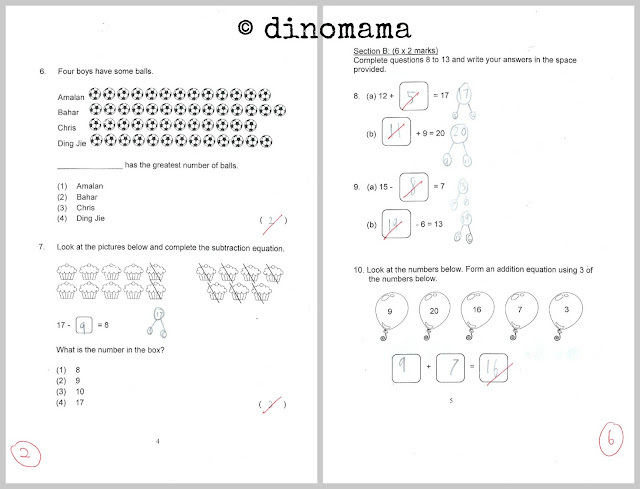 I am however, going to share with you his school's test paper, let you have a glimpse of how the Primary One test paper looks like. 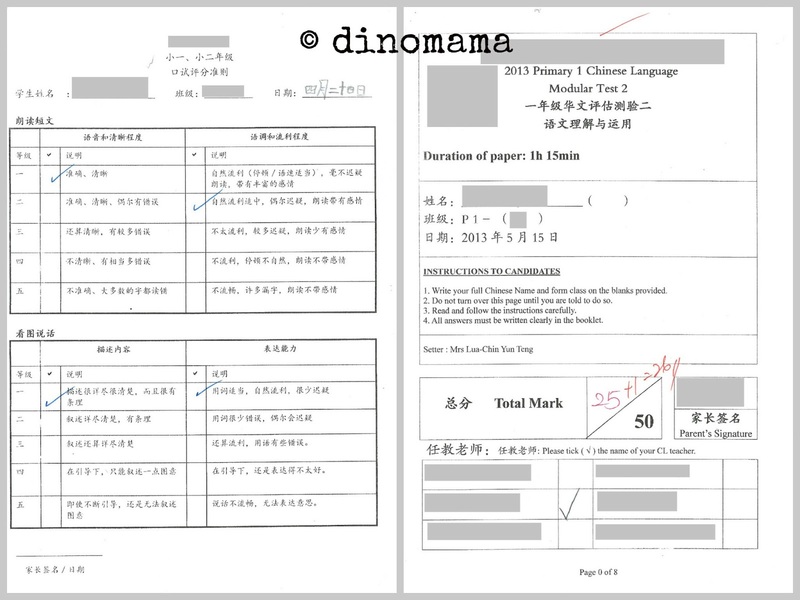 Here is DinoBoy's Report Book, he fares good don't you think? I am sharing DinoBoy's Primary One experiences in this series. 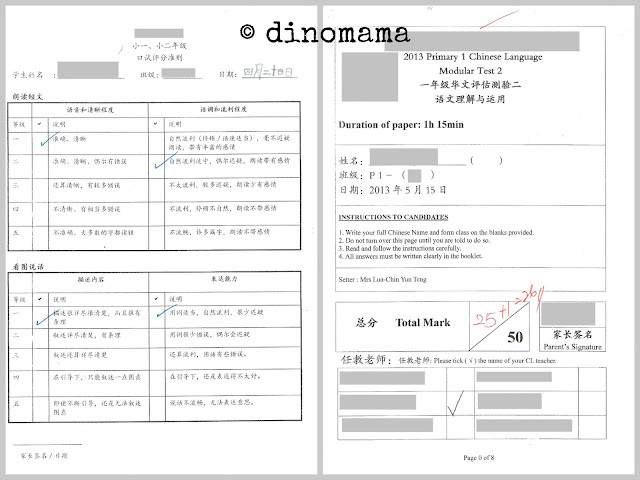 I hope it will serve as a useful guide to parents when its their time to get their child ready for the new journey and have an idea how Parent Volunteer works.